Twas the night before Christmas when all through the house, not a creature was stirring, not even a mouse... As we were all outside feeding the reindeer's. Yes you heard me right we were putting food out for the reindeer's. Now this isn't the normal carrot and water but special reindeer food. With oats and glitter and sparkly bits to shine bright and guide them to our house. Thomas loves spreading the reindeer food around our garden to let them know to stop at our house. On Christmas morning it was plain to see how good our children have been this year. Yes once again both boys were on the Good List and were left loads of presents from Santa. Excited as they unwrapped them all and loving seeing all the toys they had been given. 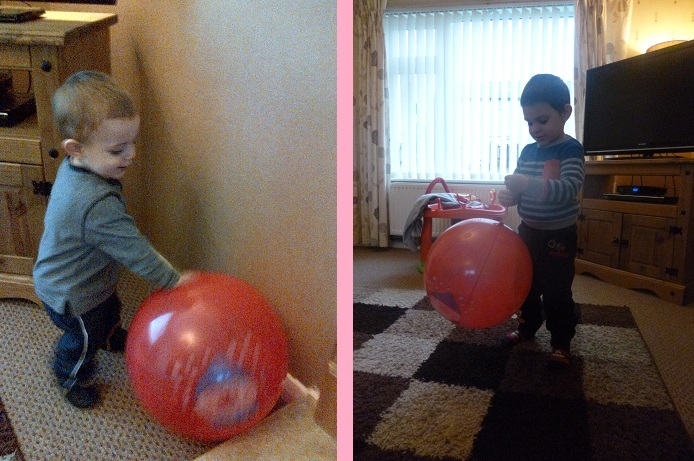 Thomas helped Charlie open his presents and helped us too, gleeful to see what the next thing would be. From ride on's and puzzles to guitars and tractors, we could see that every toy would be loved. Not only toys but mummy and daddy got presents too. Chocolate and shoes, a dream, for me and a surprise for my husband as I presented him with a new PS3 game and some Beats Headphones. Both things he'd really wanted. You can always tell what presents children will like the most, usually the noisy ones, but so far Thomas seems to be loving his LeapFrog Touch Magic Rockin Guitar and Charlie enjoys riding around on his YBike Pewi. The Guitar has set songs it plays but you can also strum the strings just by touching them. There is also an applause button, a drum button and extras too but also a volume control on the back for when he's played with it non stop so I can turn it down a little. The YBike is great for Charlie. I assumed it would be way too big and bulky but actually it's a perfect size for him and is really lightweight too. The swivel wheels makes manoeuvrability simple and Charlie flies around the room on it. After we'd opened and played with everything we went to my parents house. Every year we go there for our Christmas dinner and have it as a big family. Us, my mum, dad and brother, all gathered round eating and chatting and having a great time. Thomas pulling crackers and Charlie eating as much as he can, it was such fun. And then a shock!!! As my dad got up, went to the kitchen and proceeded to wash the plates. After helping my mum pick her jaw up off the floor I just had to take a photo as evidence! After dinner we went home and chilled, the boys played with their toys and we had a relaxing night watching the soaps and then early to bed. I know Christmas is expensive and all rush rush rush but the end result of knowing we have 2 happy boys is the best feeling in the world and that's the reason we do this every year! 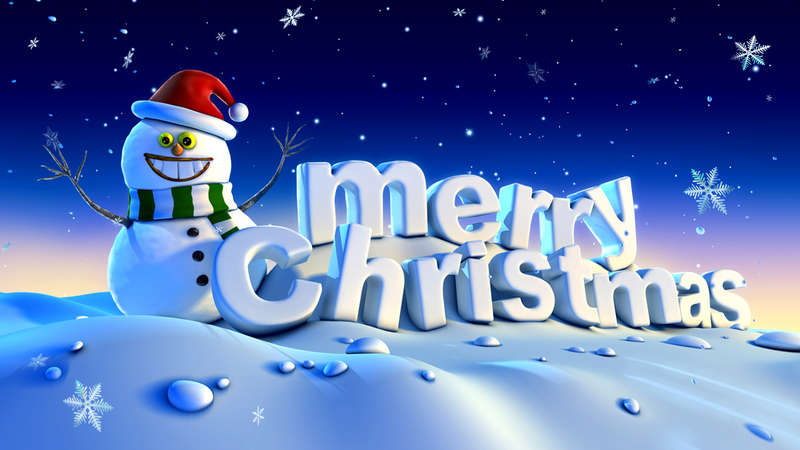 I can't believe it's Christmas, this year has gone mega quick, way too quick in fact but now it's time to open your presents, eat your Christmas dinner and enjoy the company of your family. I hope you all have a fantastic Christmas and get exactly what you want. Thank you so much for following our journey though family life and hope you continue do to so as the boys grow up. Having young children is hard work, especially the going out and walking around sensibly part. That never happens, never ever! Thomas used to run off and now Charlie is at the stage where he wants to walk making things a whole lot worse. Of course with him only being 17 month old, he doesn't understand instructions about safety. He wont walk at the side of us and will try to run and play as young children do. So when Hello Baby contacted us asking if we would like to review a Goldberg Harness Buddy we thought it was perfect timing. Goldberg Harness Buddies are the fun way to keep children safe whilst out and about. 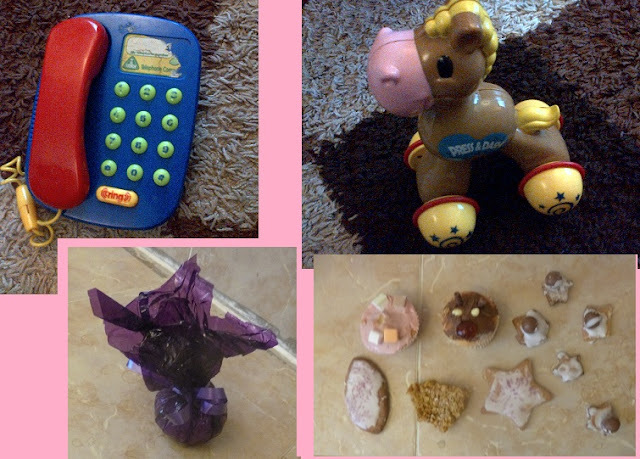 There are 10 different animals you can choose between, they are a butterfly, cow, giraffe, lion, pig, puppy, pony, ivory puppy, tiger and the one which Thomas picked, a chimp. Thomas loves monkey's and chimps so chose this one straight away and I must admit that I thought this one was the cutest too. It's comes with instructions on how to use on your child but to be honest it is really simple to use anyway. Just place the buddy like you would a backpack, making sure he is looking over your child's shoulder, fasten round your child's chest and adjust to fit and that's it. The safety strap is around 1.5m long and clicks to the bottom of the harness buddy, it has a comfortable grip and the product complies fully with British Standards. As you can see, it adjusts very well to fit both Thomas and Charlie and the straps on the boys are made from soft material so it is comfy for them to wear. Not only is the Harness Buddy a great safety product but it also has a pocket in the back of it. This could hold small toys, sweets or a refreshment for if your out and about on walks, your child has their own backpack but you still have your peace of mind know that they are wearing it. You can purchase the Goldbug Chimp Harness Buddy from Hello Baby here you can also choose between the other 9 animals too. The Harness Buddies retail at £16.99 each. 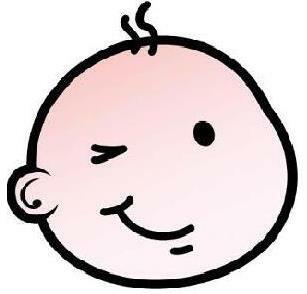 Hello Baby can be followed on Facebook and on Twitter. This week has seen Thomas's School turned all festive. It was of course the last week of term so they've celebrated in style with a Christmas Gala, the Nativity and a Christmas party. A few week ago we had a letter home asking for us to donate toys or sweets for their gala. Each class was designated a certain colour and they had to bring things in of that colour. With Thomas being in nursery the colour was rainbow, basically meaning anything. I didn't mind as I was sorting through the boys toys anyway so got quite a few different things that they don't play with any more and took them up to Thomas's school. The actual gala was great fun. Stalls with all the toys for sale. I told the boys they could have one toy each. Thomas picked a phone and Charlie wanted a donkey wheely toy. As all the money was for Charity they didn't charge much. Both toys only costing 50p but I chose to give £1 instead. There were tombolas. You had to pick 5 raffle tickets out of a box (costing £1) and see if any won a prize. I've never been lucky with raffles and we didn't win but it didn't matter as we were having fun. We hen got to go to the place we'd been waiting for. To see Santa!!! I thought £2.50 for both boys to see Santa and their photo taken wasn't too bad. Charlie looked a little scared but Thomas made sure Santa knew that he wanted 'a really really big giant robot' for Christmas. After popping into the hall to have a coffee and a bun, we got Thomas a balloon and some reindeer food to put out on Christmas Eve and went home all happy. With Thomas being so young, his class wasn't actually in the Nativity but instead sang a few songs before it started. With A Christmas twist on some classics, Row Row Row your boat was now Ride Ride Ride your camel, I'm a little teapot was now about a snowman etc. Me and Simon sat in amazement as Thomas joined in with all the singing and actions. It was so great to see as he used to be such a quiet shy boy. Years 1 and 2 also came out and sang some songs and Reception then did the Nativity play. It was so emotional realising that next year we'd be watching Thomas doing it. The children were great, remembering all their lines and all the songs too. Dressed up as kings, shepherds, animals and of course Mary and Joseph. It really was great to watch. Well done to each and every one of them!!! The last day of term was the Christmas parties. Each class had their own. We were asked to add ourselves to the list with what we could bring in for the party, whether it be sandwiches, sweets, juice, whatever really. We chose juice and whilst shopping I bought a bottle of Robinsons orange squash to take. We also decided to get creative so the day before the party me and Thomas made some buns. 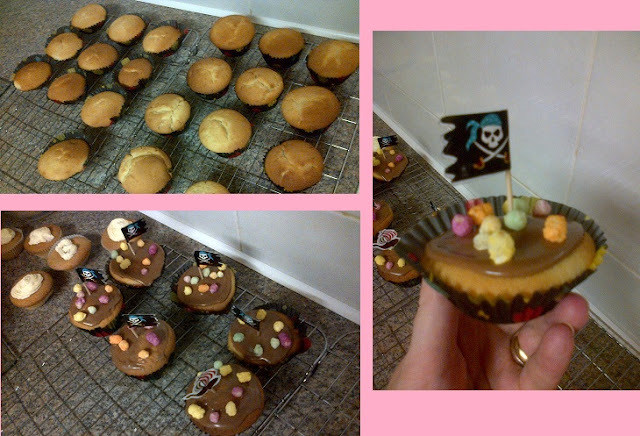 Just a basic sponge mixture but had a topping of chocolate and honey icing, a decorative pirate flag or boat and then rainbow drops which were to signify the pirate jewels. After trying a few (just to make sure they were ok of course) we boxed them up and took them into school. Dancing, pass the parcel, making Christmas hats and playing with balloons in between eating the party food, at the end singing us parents some more Christmas songs and then getting a visit from a very special guest. Can you guess who? Santa! He called each and every child out one by one and gave them a little present. Thomas was so amazed to see Santa and again made it clear that he wanted a giant robot. With Santa now back in his workshop getting the presents ready to deliver and Thomas excitedly waiting for him to drop off his presents, I can say that Castleton Primary have definitely made Christmas a whole lot more special! I love shoes like every other woman I'm sure but the biggest problem I have is finding comfortable shoes. I have quite wide feet so usually it takes time to find shoes that accommodate that and the fact that for some reason my feet are really sensitive and rub on many materials causing cuts/blisters and pain. I would usually not opt for a flat type shoe as they are normally made from thick bulky type materials which like I've said above, irritate me so when I saw Cheekyshoes I couldn't wait to give them a try and see how they were. You see Cheekyshoes are not made from horribly thick material but from comfy stretchy materials that moves with the foot creating a smooth feeling against the foot and not rubbing at all. I love the band that goes across the top which helps to hold them on and looks pretty too. I often find that my shoes will come off at the back and I'd look like I'm wearing flip flops whereas the band on Cheekyshoes holds them snug again my feet so no flip flopping about. Cheekyshoes come in 6 bright colours Sumptuous Cerise, Tomastic Red, Zesty Green, Electric Blue, Luscious Lemon and Sparkling Orange. They are priced at £19.99 for a pair which is great value for such a comfortable pair of shoes. You can purchase Cheekyshoes from their website here. Cheekyshoes can be followed on Facebook and on Twitter. Thomas loves dressing up in costumes whether it as a fireman, a pirate or a vampire, he loves it and gets so much in to character too. When I asked him what he wanted to dress up as for Christmas, Santa?, an Elf? But no, Thomas decided he wanted to be a reindeer. I got to thinking that this could be a challenge as I've never seen reindeer costumes around much. I then came across the Jokers Masquerade website after Direct2Mum posted that the fancy dress retailers were looking for bloggers to review their costumes. I got straight in touch, letting them know how much Thomas wanted to be a reindeer and was very nicely offered this cute reindeer costume to review. Thomas was so excited to receive the reindeer fancy dress costume. So much so that as soon as he realised what it was he started stripping so he could wear it. We then had to go round to my parents house so he could show off to them his great new costume. He was so chuffed "look grandma, I'm gunna pull Santa's sleigh like other reindeer's" he boasted to my mum. 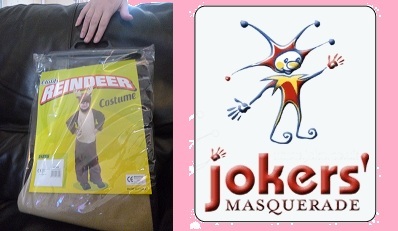 The costume comes in 2 parts, the suit and then the head piece which fastens with velcro under the chin. Thomas is 3year old but very tall for his age and this reindeer costume in size 3-5 years fits perfectly for him so has a really good sizing. Usually I find that Thomas gets uncomfortable in costumes as they are itchy or are full of tags but this one only has a little piece of velcro which fastens the back of it and the rest of it is made from felt making it extremely comfy to wear. I think the only downside was the fact that the antlers didn't stay up, they just flopped down. They need maybe a type of wiring inside to help them stay up (like a type of bra under wiring). Not only is the costume great quality but it's also great to see Thomas's face light up as he bounds around the room pretending to be a reindeer. I love flowers, I think receiving them from my husband is so romantic and shows that he still longs to make me happy. That feeling when a van turns up and out comes a man with a bouquet of flowers, I feel like the most important woman in the World. I must admit it's not easy for men though. 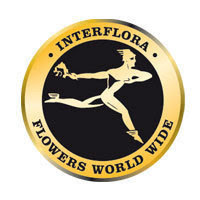 They don't want to have to go to a flower shop and have to browse around different flowers and guess which we would prefer so going on-line to a reputable company like Interflora.co.uk is a great way to surprise their partner without even leaving the house. My favourite bouquet has to be the Florists Choice Hand-tied one (as in the photo). 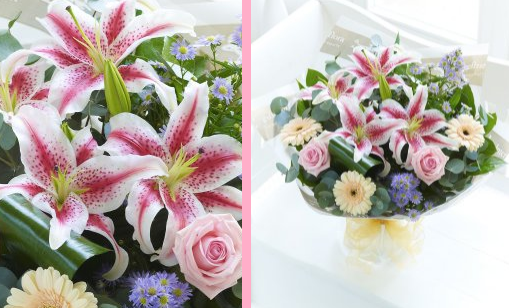 I love the personal touch with it being hand-tied and although the flowers can differ between each season I must say that the lilies in this bouquet are stunning and exactly the same as I had in my bouquet when getting married which brings back great memories. These are priced from £29.99 depending on the size of bouquet you require. I guess the hardest bit for men is actually getting on-line to buy the flowers. I know simon struggles to get on our computer without me seeing what he is doing or he will have Thomas round him asking if he can play games instead so now Interflora have brought out this great app. The app is easily downloaded onto your iPhone so you can purchase flowers whilst out and about, whilst at work, without your partner or loved one even knowing. The app is simple to use and you can easily navigate your way through it using the options. You can have your flowers delivered with same-day delivery when ordering before 3pm Mon-Sat and it has secure checkout for all on-line purchases. 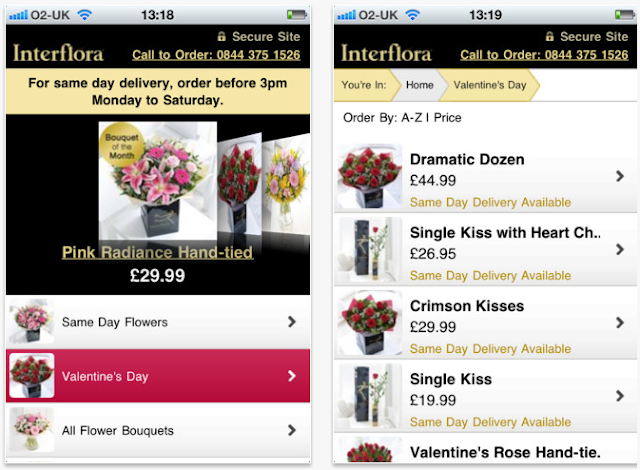 Now, no matter where you are, you can browse and purchase gorgeous flowers which will certainly come in handy this Valentines Day when you need to secretly order for your wife, girlfriend or partner, Interflora have an app for that! 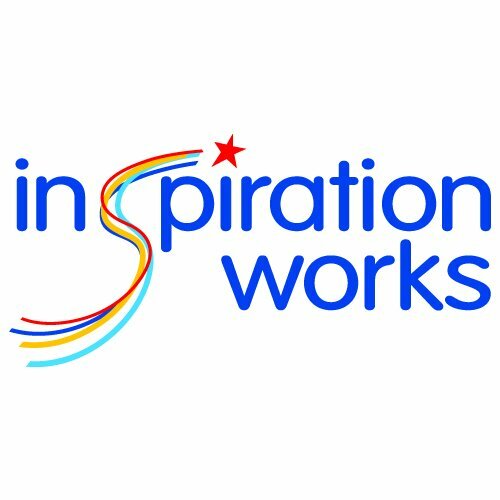 Disclaimer: Please note that I have received a payment for the writing of this post and the things in it but have given my own honest opinions, thoughts and the facts I have found about the website/products and/or app within this post. We go through loads of nappies and have tried quite a few different brands too. Beaming Baby are different to the rest. Their nappies are bio-degradable and have 30% less chemicals than a standard nappy and their wipes are flushable. The nappies, designed for superior comfort during an active day and to last for up to 12 hours to encourage a good night's sleep and they form a naturally breathable layer against your baby’s skin, the top sheet is made with natural cotton and cornstarch fibres. The wipes are made from 100% bio-degradable cloth material and are made from sustainably Grown Trees, helping to give your baby the healthiest start to life. With lashings of aloe vera to soothe skin and help heel nappy rash. I must admit, the wipes are the best quality I've used, really thick and soft, very smooth again Charlie's skin. The nappies I was a bit more apprehensive about. We've tried loads of brands and a lot leak, especially during the night. The Beaming Baby ones were of a high standard, no leakages even at night which is a big plus and held a lot of liquid too. You can purchase the nappies from the Beaming Baby website here and the wipes here. You can also follow Beaming Baby on Facebook. Thomas loves dinosaurs that's for sure. He's forever asking for dinosaur programmes on or looking at pictures of all the different ones on my laptop. Noticing that there are different types of dinosaurs Thomas always wants to know what their called. What do I tell him? I don't have a clue! Other than looking names up on the Internet which gets boring for Thomas I didn't really know how to explain about them to him. The National Geographic Explore Dinosaurs book is great for young children. Helping them learn all things dinosaur and making it fun too. 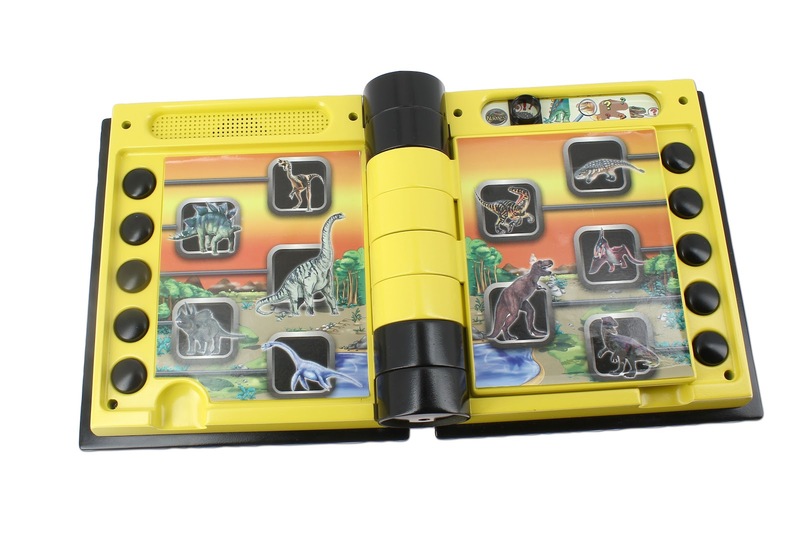 Not only doe it have pictures and corresponding button which explained what each dinosaur is called, it also had different functions. Facts about them, what they eat and all sorts. The book has 30 different dinosaur names and pictures. 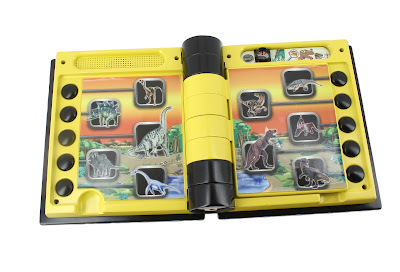 It also explains facts about each one, what they eat, the sounds/roars they make and even has a quiz part which asks you to identify a dinosaur by looking at their sizes, claws and listening to the book itself etc. Thomas loves listening to the names and copying them whilst Charlie just likes hearing the dinosaur roars, giggling to himself every time it does it. This book is not only fun but educational too, Thomas has learnt loads about dinosaurs and even points out certain ones on the television now and will tell me their names, he may not always get them right but at least he's trying and that's a step in the right direction. For me, any product that makes learning fun is a great one indeed! 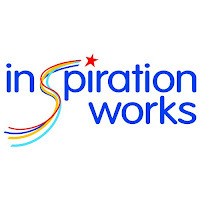 You can purchase this electronic book for only £19.99 and it comes from Inspiration Works. You can follow them on Facebook and on Twitter.